Does COMETS Collect Any Information About Users Under Age 13? COMETS does not knowingly solicit or collect information from anyone under the age of 13, unless explicitly stated on a Site, and unless stated therein, all the Sites are directed at persons 13 years of age or older. If you are the parent or guardian of a child under the age of 13, or the legal age of contract majority, and have authorized your child to use your computer, COMETS urges you to instruct your child never to give out his or her real name, address, phone number, email address or other personally identifying information while on the Sites. There are no computer applications on the Sites which allow for the determination of your age. If COMETS discovers that personal information of a child under 13 has been collected without parental or guardian consent, COMETS will take reasonable steps to delete this information. All information volunteered to COMETS will be treated the same as information given by an adult. COMETS recommends that the Internet browsing behavior of any child should be carefully supervised by a responsible adult at all times. The Internet Protocol (“IP”) address of your Internet Service Provider (“ISP”) and/or your computer, if it has its own static IP address. The domain name may also be collected. Your IP location information may be used during your visit to the Sites to serve you location specific information or advertisements for goods or services available in your specific location, however, such information will not be collected or maintained by COMETS except in aggregate or generic form. The date, time, length of stay and specific COMETS web pages, images, videos, documents or forms accessed by you at such Sites, including videos or content you watch or interact with. Whether you are viewing any of the Sites for the first time or are a return visitor. COMETS collects this General Information and may use it to generate generic or aggregate statistics about visitors to and users of the Sites. In situations where it is possible to do so, General Information may be linked to Personal Information. “Personal Information” is information through which you can be identified. Providing your Personal Information to COMETS is your choice. COMETS maintains one or more databases to store your Personal Information and may keep such information indefinitely. To participate in the various services provided on the Sites, COMETS ask for Personal Information, which may include your full name and email address. COMETS also may collect other information, your first name (no last name), city and/or state, and country, which COMETS considers Personal Information only if combined with any of the items of Personal Information listed in the first sentence of this Section. COMETS explains below how COMETS will use this information. The Sites may include social media features, including links to share, post or link COMETS’ content through your accounts with third party social media services. If you choose to interact with social media features on or from the Sites, or if you are logged in to your social media accounts while using the Sites, social media services may collect information about your use of the Sites. Information collected by third party social media services is governed by the privacy policies of those third parties, not COMETS. COMETS may collect your social media username or ID, social media plug-in information, and URL clickstream to, through and from the Sites (including date and time). Information collected by social media sites may include names, titles or descriptions of videos or content viewed through your use of the Sites. Your use of the Sites and any third party social media services constitutes your agreement and consent to the collection and use of information about the videos and content you view through the Sites. How Does COMETS Collect Information? Your information is collected from COMETS’ Sites, through email and/or through online applications or forms you complete, requests for Newsletters, requests for COMETS or Site information, entering sweepstakes or prize promotions, taking surveys, reporting problems, information you volunteer to COMETS, and through any of your other activities with COMETS. The Personal Information that COMETS collects depends on the nature of your activities. For example, COMETS collect your information via the Contact and Newsletter sections of the Sites. COMETS also collect information regarding your device, including GPS location when you use the Sites and associated services from your mobile device if your device has location services enabled. COMETS also collects an identifier, device type, IP address, phone, browser type and version, time zone, browser plug-ins and versions, operating system and device platform. How Does COMETS Use the Information COMETS Collects? Personal Information you volunteer is used by COMETS for internal verification, to complete requested transactions, to ensure appropriate legal use of COMETS’ goods and/or services, to provide you notification about updates to the Sites, goods and services and to help provide you with technical support for the Sites. How Does COMETS Share Your Information with Third Parties? A petition for relief is filed under U.S. Bankruptcy laws for or against COMETS or if COMETS becomes subject to an order of appointment of a trustee or receiver. How Does COMETS Share Information with Third-Party Internet-Based Advertising Companies? COMETS may share information about you, including your Personal Information, with third-party Internet-based advertising companies. This information is used to help such advertisers reach the kind of audience they want to target. This information is also used to assist such advertisers and advertising networks in selecting and serving relevant advertisement to you. COMETS may make message boards, blogs, and other community services available to you on the Sites. Please understand that any information that is disclosed by you in these areas becomes public information. When you disclose such information on a message board, blog or any other public forum, you do so at your own risk. COMETS has no control over its use and you should exercise caution when deciding to disclose your personal information or any other information about yourself. The information presented in these areas reflects the views of the individual users or hosts and does not necessarily reflect the views of COMETS. COMETS reserves the right (but has no obligation) to monitor the use of message boards, blogs or other public forums on the Sites. Does COMETS Use De-Identified Information? How Does COMETS Maintain and Secure the Personal Information COMETS Collects? Please note in order to protect the security of your information, you will be required to properly identify yourself before COMETS can process such a request. The security and confidentiality of your personal information is important to COMETS and COMETS will take reasonable measures to protect it, including measures to protect against unauthorized access, alteration, and disclosure. These security measures include, for example, internal reviews of COMETS’ data collection, storage and processing practices and security measures, as well as physical security measures to guard against unauthorized access to systems where COMETS store personal data. When the use of a COMETS web page or app involves the transmission of Personal Information, COMETS may use Secure Socket Layer (“SSL”) technology to establish a secure connection between your computer or device and COMETS and/or the Sites. COMETS may also allow the transmission of encrypted information from your computer or device to COMETS and back again. COMETS reserves the right to monitor all network traffic to the Sites to identify and/or block unauthorized attempts or intrusions to upload or change information or cause damage to any of the Sites in any manner. Anyone using any of the Sites expressly consents to such monitoring. Please be aware that no data transmission over the Internet or which is stored on a computer connected to the Internet can be guaranteed to be 100% secure, so while COMETS strives to protect your personal information, COMETS cannot ensure or warrant the security of any information that you voluntarily give to us. When you visit or use the Sites, COMETS may place a cookie in a file directory on your computer or mobile device. A cookie is a small text file that is placed on your computer or mobile device to uniquely distinguish your visit to a website or use of an online service or mobile application. The information that cookies collect includes the date and time of your visit and your registration information. Cookies may offer you many conveniences for COMETS’ Sites and allow COMETS to recognize certain information, such as your browser type, so COMETS knows if you can view certain plug-ins or extensions. They also allow COMETS to streamline your visit to the Sites based on your previous visits. You may configure your browser or device to accept or deny cookies from the Sites. However, disabling or denying cookies from the Sites may render parts of them inaccessible or may cause certain web pages or parts of the app not to properly load. There are also several services and websites which allow you to visit websites, including the Sites, anonymously. Again, you may not be able to access or use all of the content or services available on the Sites if you use these anonymizing services or websites. If you change computers or browsers or devices, or use multiple computers or browsers or devices or delete COMETS’ cookies, you will need to repeat this process for each computer, each browser, and each device. Does COMETS Use Web Beacons/Pixel Tags? COMETS may use “Web Beacons,” sometimes referred to as “pixels,” “clear gifs,” or “web bugs,” which is another way (instead of cookies) to help personalize your experience on the Sites. Web Beacons are typically invisible to you and are generally embedded in very small clear graphics files. “Pixel Tags” are small strings of computer code that provide a method for delivering a graphic image on a web page or other medium. Pixel Tags allow COMETS or a third party who serves the Pixel Tag, to set, read, and modify some of COMETS’ cookies. COMETS may use Web Beacons and Pixel Tags to monitor certain non-personally identifiable information about you, including the URL of the page from which the Web Beacon or Pixel Tag originated, the type of browser used, the IP address of your computer and the time you viewed the Web Beacon or Pixel Tag. COMETS may also use Web Beacons and Pixel Tags to assist COMETS’ third-party advertising and/or content companies in providing the content they believe you want to see. Web Beacons and Pixel Tags are also used to allow such third parties to determine how many people view the advertisements and/or click through, and to assist in serving and managing advertisements and content. While Web Beacons and Pixel Tags do not collect Personal Information, the information collected by them may be used in conjunction with Cookies to identify aggregate information about users of the Sites. COMETS does not currently have the capabilities to recognize the Do Not Track signals from Internet browsers. Therefore, any selection you make within your Internet browser will not be applied to the Sites. For more information regarding Do Not Track you can visit www.allaboutdnt.org. The Sites may contain links to third-party websites. COMETS has no control over the privacy practices or the content of such third-party websites. Neither COMETS, nor any of its officers, directors, partners, employees, agents, representatives, vendors or suppliers are responsible for the content, privacy policies, products, services, reliability, viewpoint or accuracy of information on any such websites. COMETS does not control and is not responsible for the collection of personal information by third party websites, including websites owned or controlled by COMETS’ preferred financial partners, advertisers, vendors and/or websites not controlled by COMETS. Within thirty (30) days of receiving such a request, COMETS will provide a list of the categories of personal information disclosed to third parties for third-party direct marketing purposes during the immediately preceding calendar year, along with the names and addresses of those third parties. This request may be made no more than once per calendar year. COMETS reserves its right not to respond to requests submitted other than to the address specified in this Section, requests not labeled or sent properly, or requests that do not have complete information. You may choose to opt-out of receiving electronic communications from us. 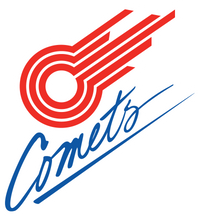 To opt-out of electronic communications from COMETS, please contact COMETS at info@kccomets.com (subject line: “Opt-Out Email Communications”) to request that you be unsubscribed from any of COMETS’ marketing emails. You should provide your name and email address(es) to us, so that COMETS can do its best to ensure that you stop receiving such communications from us.